We are the Department of Integrative Biology. As of January 1, 2014 the 125-year-old Department of Zoology changed its name and became the home of the interdisciplinary Biology major. We are part of the School of Life Sciences in the College of Science, together with the departments of Microbiology and Biochemistry & Biophysics. 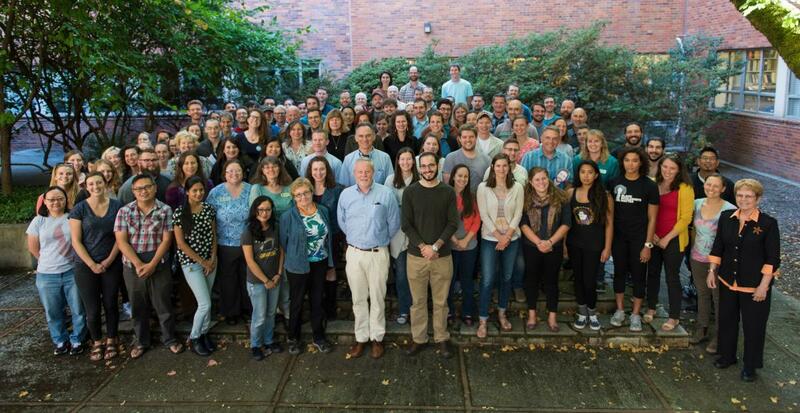 A central theme that stitches together the diverse group of faculty and students in our department is a shared value in promoting research and teaching that integrates knowledge and understanding across levels and scales of biology. We are interested in the intersections and integration of biological processes across levels. We view this vertical integration as central to our identity. Our research spans genetics, genomics, physiology, ecology, systematics, and evolutionary biology. We study marine biology, model systems, climate change biology, conservation biology, sustainability science and systems biology. We are home to research collections of arthropods, birds and reptiles that are used by scientists from around the world. We are home to the undergraduate Zoology and Biology majors, more than 1200 students in all. We work with our colleagues in other departments in the School of Life Sciences and in the College of Agricultural Sciences, to offer the interdisciplinary Biology curriculum. We offer undergraduates dynamic and cutting-edge lecture, lab, online and independent research experiences. We have the highest number of Honors College students, International degree students and students studying abroad of any department on campus. With our new identity, we combine the rich tradition of our distinguished history as a department with a modern name that accurately reflects the current scope and future vision of our scholarship, instruction and service.